Over the past 15 years I have been creating collages in glass, combining photographic screen prints with more free-form imagery, and using a variety of fusing and coldworking techniques. My color palette is simple. Black and white photographs are central to many pieces. I generally work on several themes simultaneously, and for each the “construction” is modified to fit the theme. 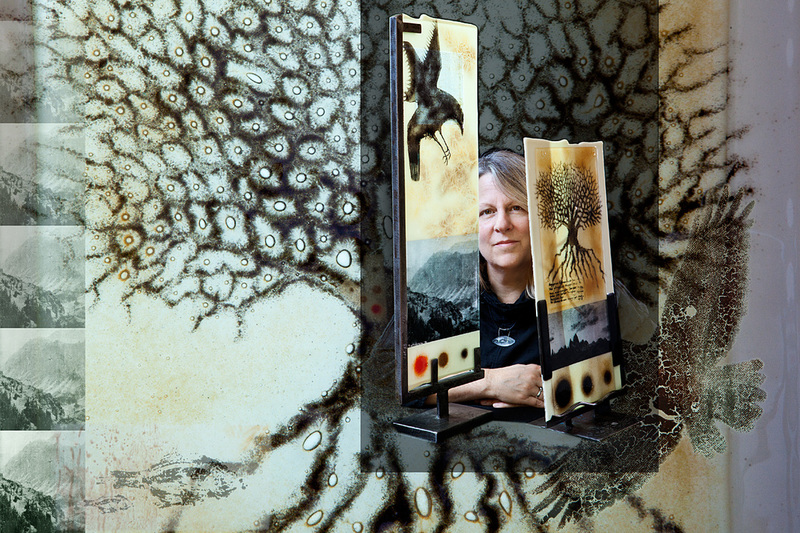 Art is not my area of formal education; I received a PhD in Microbiology and am currently a professor of Microbiology at Oregon State University. I feel this allows me a unique perspective both on the method and on my art. I enjoy the experimentation and the anticipation of opening the kiln and seeing how my idea transforms.